Leaders of the government-run NZ Venture Investment Fund (VIF) have argued that local institutions must step up to the start-up challenge. In the VIF annual report published last week, the fund chair, Murray Gribben, and chief executive, Richard Dellabarca, make the case for greater local institutional support at the tiny end of town. 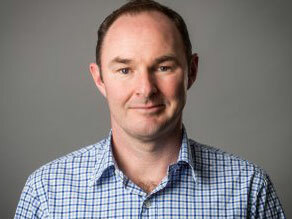 “There is no doubt that there is sufficient institutional capital in New Zealand to support the next generation of potential New Zealand unicorns when you consider the significant capital pools of KiwiSaver, the New Zealand sovereign wealth funds (NZ Super, ACC and Annuitas), iwi, community trust, corporates and the brokerage houses,” the VIF report says. The report says research from the Ministry of Business, Innovation and Employment (MBIE) has identified an early-stage investment gap in the NZ market of about $250 million annually. “To date, none of these domestic institutions participated in any of the private investment rounds of the ten ‘billion dollar-plus’ companies which have emerged out of New Zealand,” the VIF report says. Coincidentally, last week Stuff reported that the Labour-led government could coerce the NZ Superannuation Fund (NZS) into the local venture investment market to the tune of about $200 million. David Parker (who holds a range of portfolios including economic development and associate finance) was drafting a proposal on the matter, according to Stuff. A NZS spokesperson said: “The Guardians has had meetings with Minister Parker in which the issue of NZSF investing in venture capital was discussed. The possibility of a direction was not discussed. However, the VIF report says NZ needed to address the “challenge” of connecting institutional capital with high-potential start-up firms. “It is a challenge which has been addressed in Australia, where in excess of $1 billion of institutional capital – the equivalent to our KiwiSaver and sovereign wealth fund’s – has flowed into the sector over the last three years as these institutions recognise the investment opportunity, as well as the national imperative around investing to create and support domestic champions taking on global opportunities,” the report says. Gribben and Dellabarca argue NZ should create “a fund (or funds) of appropriate scale” designed to attract institutional money to the venture sector along with “a team (or teams) acceptable to such investors and appropriately qualified to manage funds”. During the 12 months to June 30, the VIF invested a total of about $11 million via the two vehicles it manages, covering $3.6 million through the Venture Investment Fund and $7.4 million in the Seed Capital Investment Fund (SCIF). Over the annual period the SCIF, which co-invests with ‘angel’ firms, chalked up its 200th investment since inception. However, the venture capital fund saw “a significant decrease from previous years’ activities”. “But given there was only two active domestic Venture Capital (VC) funds in New Zealand, GD 1 Fund II and Punakaiki, actively making new investments, this level of activity was in line with expectations,” the report says. The VIF recorded a surplus of almost $1.5 million for the fiscal period compared to a deficit of $12.8 million in the previous year on the back of investment gains of $2.7 million (versus a loss of almost $11 million in 2017) and a slight reduction in operating costs. In total, the VIF spent about $2.5 million over the 12-month period, mostly to pay the eight full-time and three part-time staff: five VIF employees earn over $100,000 with the top job in the $510,000-$520,000 range.